There are few disasters more devastating than a fire. It can destroy everything you have worked hard to earn in a matter of minutes. Each year, house fires are responsible for millions of dollars worth of damage and property loss throughout Miami. Most responsible homeowners have insurance. However, many homeowners have not taken the time to review their insurance policies concerning fire damage. What homeowner’s don’t know about their insurance policies can come back to haunt them. You may be shocked to learn that not all fires are covered by insurance–specifically arson and fires in vacant homes. 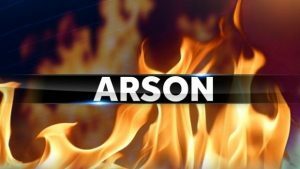 Do You Know the Facts About Arson in Miami? Arson is defined as any fire that is deliberately set for the purpose of destroying or damaging property. Unfortunately, it has become one of the of the most common forms of insurance fraud in Miami. Far too many homeowners have tried to take advantage of the system by burning down their property to collect insurance money. It is important to understand arson and insurance fraud are both serious criminal offenses that can result in significant jail time. Many arsonists try to be clever about hiding their motives. But insurance companies have caught on to these devious criminals. When a fire damage insurance claim is made, insurance companies will send out their team of adjusters to assess the damage. Among their primary objectives is to investigate the cause of the fire. If the investigation determines arson was the cause, there will be no compensation. Many house fires in Miami occur in vacant homes. Insurance companies will not cover fire damage in homes that have been vacated for more than 30 consecutive days. However, there are some exceptions. One of the unique aspects of South Florida is the amount of Northerners and international visitors who purchase property to live during the winter time. But when winter ends, many return to their regular homes. Meanwhile, many of these properties are unoccupied for several months. Fortunately, many insurance companies provide vacant home insurance, which covers damages and property losses as a result of fire damage, theft, windstorms and vandalism. If you maintain residence for only a few months out of the year, it is in your best interest to enroll in a vacant home insurance plan. Every homeowner needs insurance. But it is always important to be aware of your policy and to fully understand what it does and does not cover. Fire damage in Miami is one of the most complicated issues. When a house has suffered fire damage, it is usually considered a total loss. Even a small fire can cause significant structural damage and water damage that can destroy furniture, building materials and your most valuable possessions. Take the time to review your policy thoroughly. It may not be the most fun activity. But making the right choices can often make the difference between getting the most out of your homeowner’s insurance claim or having it denied.